I liked the intent, but not the crappy handwriting. 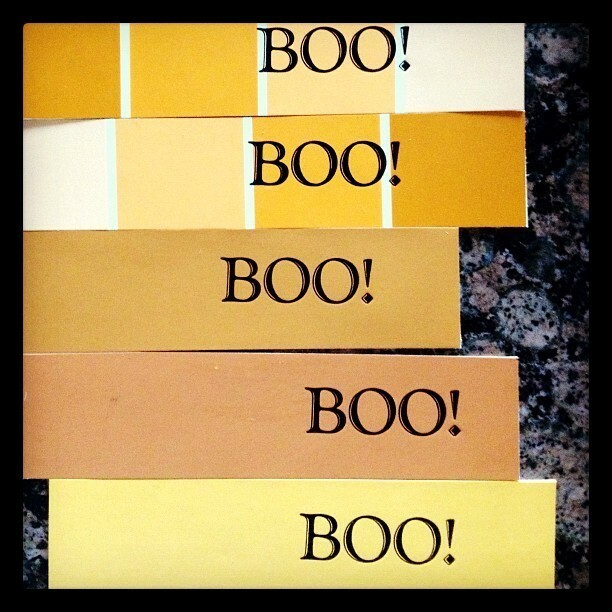 So, I stopped by Home Depot and grabbed some paint chips in fall colors. I duplexed them, trimmed them and pressed them. Makes a nice bookmark. Although, I'm finding that the ink takes well but the sheen on the paint chips prevents the letterpress ink from drying quickly. Sealant will fix that. And, I'll use a smaller typeface next time...to quote my favorite sappy poem.